Australian Prime Minister Kevin Rudd spewed out a rhetorical barrage on climate skeptics worldwide. See: Australian PM warns skeptics ‘are too ‘dangerous to ignore’ and are ‘holding the world to ransom’ – November 6, 2009. Also see: here and here for more coverage of Rudd’s speech. Climate Depot has undertaken a point by point rebuttal to Rudd’s claims. The full text of Rudd’s speech is available here. Climate Depot Response: Yes, skepticism, the foundation of science, is and always has been strong enough to derail lavishly funded and politically motivated science based on wildly speculative climate model “predictions” and distortions of past climate records. A “scientifically meaningless” domestic carbon trading or international treaties will not impact global climate in any detectable ways, but will have huge human impacts. Rudd Claim: Our “children’s fate – and our grandchildren’s fate – will lie entirely with [skeptics’ opposition]. Climate Depot Response: Nice maudlin touch, Mr. Rudd. The fact is children are probably the only ones left that you and your climate fear promoting friends can convince that a climate catastrophe is just around the corner and you and your colleagues are their saviors. You are in luck, Mr. Rudd. Climate Depot takes full responsibility for the fate of your children and grandchildren from any future man-made climate catastrophe. Climate Depot can and will gladly take public responsibility for the children and future grandchildren of our planet for “doing nothing” about climate. So there, problem solved. Rudd Claim: “The clock is ticking for the planet, but the climate change skeptics simply do not care. Climate Depot Response: “Longstanding scientific consensus?” Surely you jest. Man-made global warming fears did not come in widespread vogue until the late 1980’s. In case you missed it, many of today’s warmers were promoting global cooling as late as 1970’s. See: Climate Depot’s Factsheet on 1970s Coming ‘Ice Age’ Claims: ‘Fears of a coming ice age, showed up in peer-reviewed literature, at scientific conferences, by prominent scientists and throughout the media’ The man-made global warming hypothesis is now failing in the scientific community. See: UK Astrophysicist: ‘The notion that CO2 warms world has come to a dead end’: They are trying to ‘prop up a ‘scientific theory’ that has run out of so called facts’ and see: UN IPCC Scientist Declares ‘A Death Spiral for Climate Alarmism’ and see: New Report: UN Scientists Speak Out On Global Warming — As Skeptics! South African UN Scientist Dr. Will Alexander wrote in March 2009, “’The whole climate change issue is about to fall apart…Heads will roll!” UK scientist Dr. David Bellamy once believed man-made climate fears, but has since reversed his views and become a skeptic. “The ­science has, quite simply, gone awry. In fact, it’s not even science any more, it’s anti-science, Bellamy said in November 2008. Climate Depot Response: Why not make up higher numbers? Why not just claim 50,000 UN scientists support the “consensus?” What silliness. Plus UN scientists speak out – against the climate fear claims! New Report: UN Scientists Speak Out On Global Warming — As Skeptics! Here is a very small sampling of what current and former UN scientists have to say about the UN and its scientific methods. Rudd Claim: “What absolute political cowardice” [on the part of skeptics]. Climate Depot Response: Logic? Let’s review Mr. Rudd. You are lamenting the fact that skeptics are opposed to a “scientifically meaningless” climate “solution” process that could condemn the estimated 1.6 billion energy impoverished people in the developing world to a continued nasty brutish and short existence based on collapsing scientific claims. See: India: ‘It is morally wrong for us to reduce emissions when 40% of Indians do not have access to electricity’ Skeptics promote a vibrant energy policy that promotes development and expands energy around the globe. The sooner we can eliminate the UN from climate and energy policy, the better off energy distribution and the developing world’s poor will become. The world needs energy initiatives, not anti-energy initiatives, and as we go forward, the less the United Nations has to do with climate and energy, the better. The only people “pitching a do-nothing approach to climate change” are the UN and the U.S. Congress. Why else would the Kyoto Protocol not even have a measurable impact on global temps (assuming they were correct on the science ) and it was fully enacted? It is the U.S. Congress and the “scientifically meaningless” Waxman-Markey bill that even Obama’s EPA admits will not have a measurable impact on global Co2 levels, let alone any measurable or detectable impact on global temperatures. The man-made climate fear promoters have been “pitching a do-nothing approach to climate change…” since the movement’s launch in 1988 by consistently promoting purely symbolic “solutions” to global warming. Mr. Rudd, you claim that carbon trading and UN treaties are some sort of an “insurance” policy against global warming. But a simple question to ask is: Would you purchase fire insurance on your home that had a huge up front premium for virtually no payout if you home burned down? If you answered YES to such an “insurance” policy, then Congress and the UN has a deal for you with their cap-and-trade and climate legislation. If we did actually face a man-made climate catastrophe and the “solutions” of the UN and Congress were our only hope, we would all be DOOMED! Climate Depot Response: Fully agree with you Mr. Rudd. Scientific truth, reality based economics are always “dangerous” to climate charlatans peddling their wares of a coming climate catastrophe. It used to be those who stood on street corners warning of the end times were thought of as nutcases, now those same views are held by world leaders. It is sad to see “climate astrology” replace actual science. See: Obama’s ‘Climate Astrologer’: Energy Sec. Chu claims he knows ‘what the future will be 100 years from now’: ‘Shouldn’t Chu be touting these scary predictions of the year 2100 on a boardwalk with a full deck of Tarot Cards? Sadly Mr. Rudd, it is you and your fellow climate alarm promoters that are touting faith based science. Climate Depot Response: We plead guilty Mr. Rudd! Our goal is simple: To bring the train to a complete stop. You did figure us out correctly on that point. 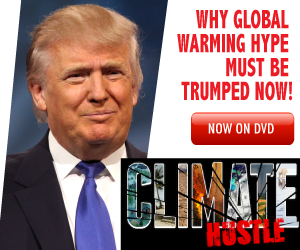 Climate Depot Response: Actually Mr. Rudd, the more messrs Gore, Kerry, Brown, Obama, and yourself speak, the more the public grows skeptical. So you and your colleagues have been a huge help in helping to spread skepticism and expand opposition to silly and economically destructive global climate treaties. Climate Depot Response: Wrong again. Skeptics claim that RESULT of “acting” is nothing in terms of climate results. Climate Depot Response: Mr. Rudd, you repeat yourself ad nauseum. There is no “reckless” bet. The way forward is already happening. Improving technologies, expanding energy and growing economies in the developing world will improve the global environment more than any UN treaty or domestic carbon trading ever conceivably could. What UN casino is not telling patrons is that the “climate treaty” bet is nothing more than pure symbolism that could harm the poorest of residents. People are wising up, gambling with the UN is not a winning bet. Rudd Claim: “You are betting our jobs, our houses, our farms, our reefs, our economy and our future on an intuition – on a gut feeling; on a political prejudice you have about science…You’ve got to know when to fold ’em – and for the skeptics, that time has come. At long last Mr. Rudd, have you no shame?